The Construction work of 16 storied Female Hostel of Daffodil International University was inaugurated on June 02, 2012 at Ashulia Permanent Campus. Professor Dr. Atful Hye Shibly , Member, University Grants Commission of Bangladesh inaugurated the construction work of DIU Female Hostel as the chief guest. Later Professor Dr. Atful Hye Shibly visited the whole campus and expressed his great satisfaction to see the modern infrastructure and facilities to be provided in the permanent campus. 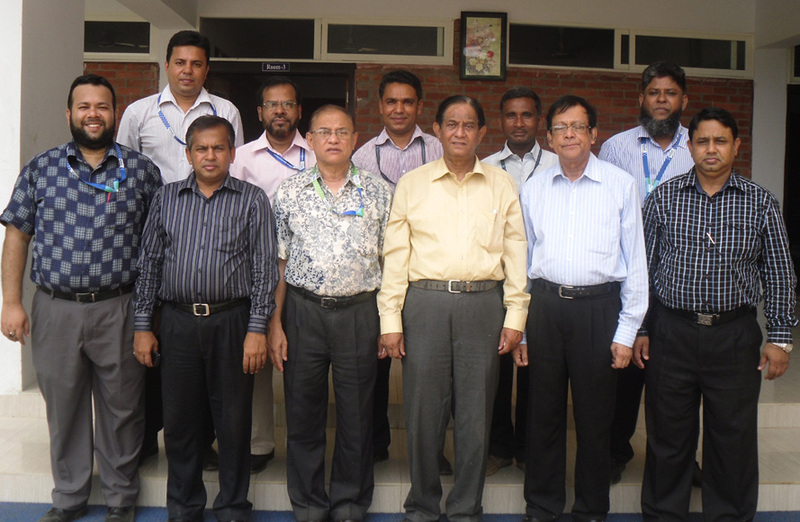 Professor Dr. M. Lutfar Rahman, Vice Chancellor, Professor Dr. S. M. Mahbub Ul- Haque Majumder, Dean, Faculty of Science and Information Technology, Professor Dr. M. Mizanur Rahman, FBE, Dr. Mostafa Kamal, Project Director, Permanent Campus, Mr. Mominul Haque Majumder, Director (Finance& Accounts), Mr. Emran Hossain, Deputy Registrar, Mr. Md. Mazbahur Rashid, Sr. Assistant Director (Planning & Development), Mr. Suranjit Mondal, Assistant Registrar, Mr. Najim Uddin Sharkar, Assistant Director (Planning & Development) and other high officials were present during the inaugural ceremony.